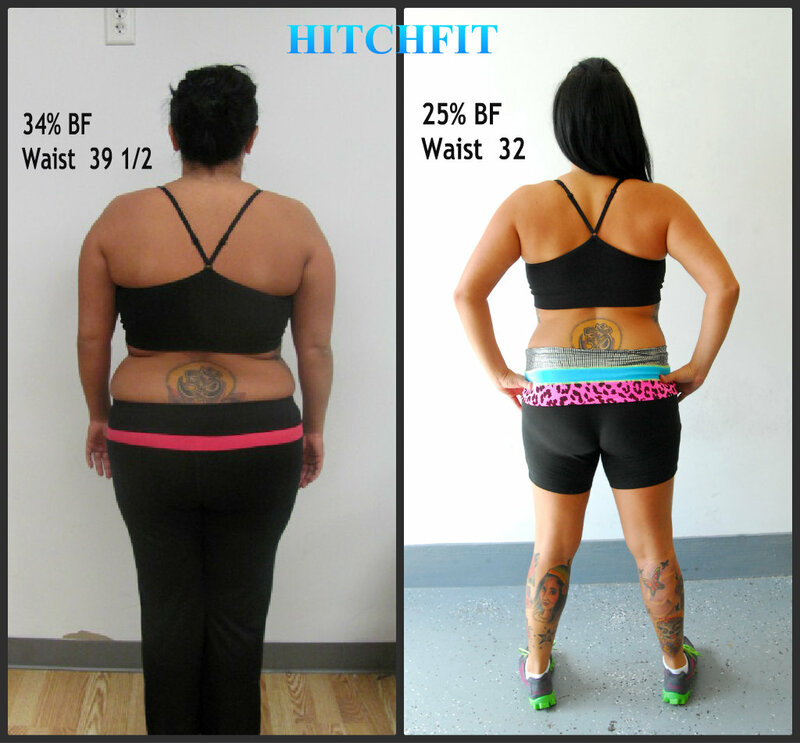 Kansas City Woman Learns How To Lose 40 Pounds of Fat with Hitch Fit! 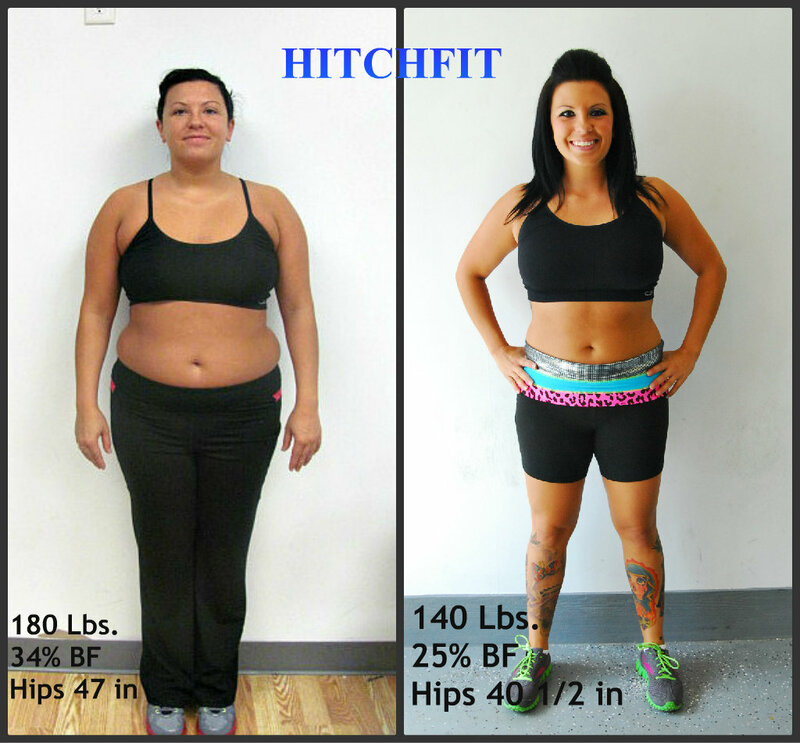 Home/Success Stories/Kansas City Woman Learns How To Lose 40 Pounds of Fat with Hitch Fit! “My life instantly changed on January 6th, 2012. I was intimidated walking into Hitch Fit that day. I was not in the best condition. I had little to no self esteem left and was severely depressed. Little did I know at this time I would make one of my best new friendships. I sat on the futon waiting for Rachel to finish up with a client. My nerves were getting to me and as I was getting ready to make my dash out the door into my car, she says “Hi, are you Melissa?” This was the last day of a life which, was being wasted away by depression & excuses. It took rock bottom for me to pick up the pieces. I started taking steps to improve my emotional well being. I stepped on the scale…181 pounds, I got pinched…results… I was obese for my age and height. I told her that 4 ½ years ago I was diagnosed with Thyroid Disease and had surgery to remove half of my thyroid. My weight was an everyday struggle. I would look in the mirror in disgust. I was always very outgoing & ready to take on the world. I wasn’t anymore. I was told by my doctor that I may never be able to lose the weight because with a thyroid condition weight is a hard side effect to control. I gave up that day…I threw in the towel. My depression became worse over time. I was put on anti- depression medications that did not work. I was turning into a recluse. I wanted nothing to do with anyone. I pushed everyone I loved out of my life. I started losing myself and everything I worked so hard to achieve. Rock bottom…I hit that….I hit it extremely hard. For a year I beat myself up emotionally. I tore up every ounce of confidence I had left in me. I saw my family’s concern and laughed at them. “Who were they to…blah blah blah?” Well, rock bottom came with a huge price for me to pay.I found an amazing life coach by the name of Amy. It took me a 1 ½ to work through the torment I caused to myself for so many years. So emotionally…I was good. It was now time to prove to myself I could change who I was on the outside. 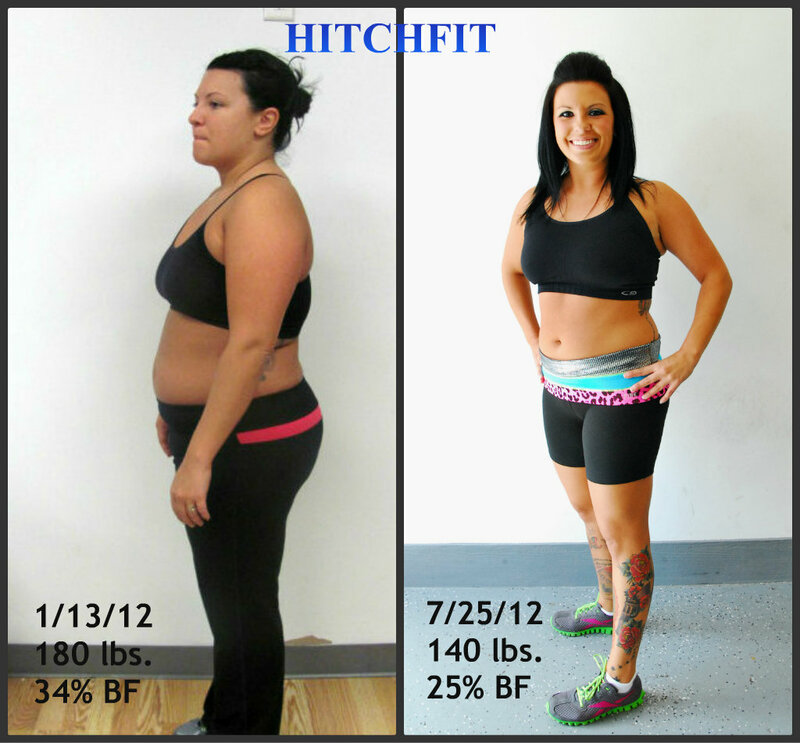 After I stepped off the scale, I sat down to talk with Rachel about the program. As I like to say…I swan dove straight into the program and didn’t look back. I was 110% ready when I started that Monday morning at 6:00am. By 6:00pm that same night I wondered what in the heck did I just get myself into. It felt like my body was going to fall apart. But I went back for more and kept at it. Rachel motivated me and pushed me to do things I NEVER thought I could do…like 405 lbs on the leg press. Or write to [email protected] for details on rates and how our programs work!